Utilizing containers is a great way to enhance your existing garden, or begin your first one. For those on a budget the use of frugal gardening containers will enable you to feature an attractive garden without breaking your pocketbook. The money you can potentially save by taking a little time to be creative in your container selection can be used in other areas of your landscape, or for other needs in your household. Gardening in containers is a very popular activity, and allows great versatility, but also requires special care. One of the great things about container gardening is that you can put containers anywhere, even areas where you would not normally be able to plant, such as an apartment patio or balcony, or a small space around your house. Container gardening is simply planting in a movable container rather than directly into the ground. You can grow either annual or perennial plants in containers, which gives the gardener an excellent alternative to traditional planting. Annuals have to be planted each season and if using containers makes it easier to plant them, as it sometimes does with the container being above ground level, then this is nice. Perennials are not going to need to be replaced every year, but the flexibility you have in being able to move the container around might help you get those perennials through difficult weather. Containers are a great way for someone to get started in gardening. With a container you can start as small as a single pot, without having to prepare a garden bed, cultivate soil, or even dig a hole. As you gain confidence and experience you can easily begin to add additional plants and containers to your garden. If your landscape already has existing garden beds, ground covers, etc…adding containers gives you a great opportunity to enhance what is already in place. 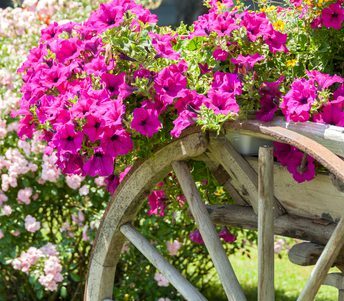 You can intersperse a variety of additional colors in the exact spots that suit your fancy, you can fill in sparse areas that are a little drab, or you can even make your containers the focal point of your landscape. It all comes down to what your particular preference calls for. In addition to being able to work in places where a traditional garden cannot be planted, you can move your containers around. You may set a container in a certain spot and a couple of weeks later decide that that particular spot doesn’t work well, or maybe that you just don’t like it. With containers this is no problem. 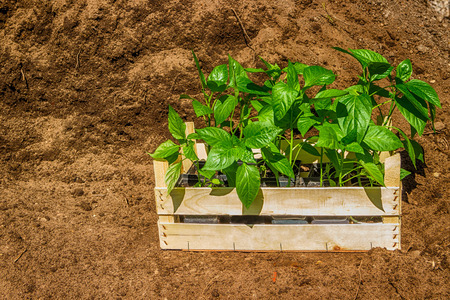 You can just move your container(s) to another spot that works better for you without having the hassle and labor of digging up the plants and transplanting them. It can also be a terrific benefit for a perennial plant that is in danger of freezing due to a sudden cold snap in your area. When you have your plant in a container, you can bring it inside your house. You can build your planting mix around your specific plant. If you put more than one plant in a container then you will want to be sure that each plant favors that mix, but this does give you some additional flexibility. Many plants that grow well in containers, including succulents like cactus and sedums, are quite drought tolerant and require little water to thrive. Containers are also easy to water. And, perhaps the greatest benefit of all, container gardening can be is a relatively inexpensive activity in which there are countless ways to save on costs. The abundant availability of frugal gardening containers is at the top of this list. You just have to use your imagination. Pots are often thought of as the container to use. If your objective is a traditional look and you don’t mind the cost of buying pots then this may be the best path for you to take in obtaining your containers. There is nothing in the world wrong with that, but there are so many different types of containers to choose from that you, as the gardener, need to look at cost on one hand, but also how the container will look against the plant you are trying to grow. Some types of containers can be cost effective but not look right in your garden. Ultimately you are the one who has to decide what you like or do not like. But what you need to know is that you are definitely not limited to using pots that you buy at the garden center. In fact, you can be as creative as you want to be. Many things that you can just find around your house, or in a thrift store or a garage sale, can be used as a container. 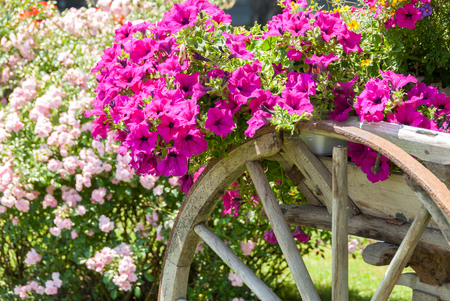 In addition to being on wheels, making for easy transport, a typical wheelbarrow fits naturally into a landscape setting, and it is just about the right width to accommodate a bevy of different plants. If a wheelbarrow doesn’t suit you, look at an old wagon. It has the same characteristics of the wheelbarrow, but isn’t as high off the ground. A crate looks terrific standing on its own, or matched together on either side of a pathway. If you happen to have several same size baskets you can create a longer row and form a border to a yard, sidewalk, or driveway. You can use crates in the same way you would the wicker basket. If you have an existing bird bath, but are tired of it, don’t throw it away. Instead use it for a container for planting. 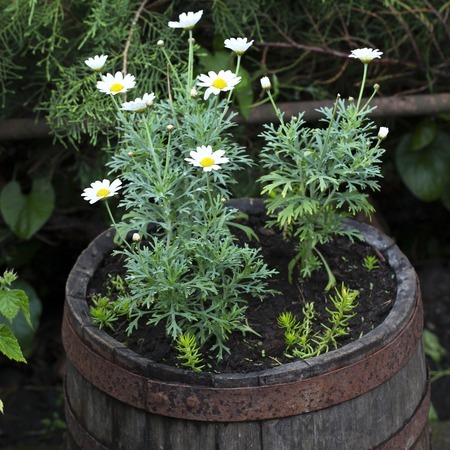 You have to be able to make sure it will drain, and you may only want to plant annuals in it since it could be hard to bring inside if the weather threatens, but there are few things in your garden that would look cooler than plants growing from one. If you don’t have one you can buy them cheaply. Old tires work well for larger plantings. As noted above, the great thing about any of these is that if you do not like the way the look in your landscape you can get rid of them and move to something else with very little investment of time or money lost. Most people will have a number of these items in their backyard, garage, or attic already. If not, see if you can find something you like at a yard sale, or perhaps a thrift store. You might find something at the curb on trash day. The idea is frugal so nothing is really off limits as long as it can “contain” and will be able to drain water. You may decide to mix traditional garden center pots or baskets with some of these unique type items above, and that would form the basis of a fantastic container garden. The most important thing is to have fun with it and enjoy your garden!